Health systems that improve patient/​doctor relationships instead of adopting deny-and-defend legal strategies reduce the cost of malpractice complaints, explains MARSCHALL S. RUNGE, dean of the University of Michigan Medical School. Even as hospitals and health care systems reform their approach to malpractice claims, other efforts are aimed at addressing patient concerns associated with doctors’ practices that can lead to claims and post-surgical complications. 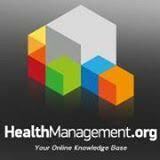 One promising approach, developed at Vanderbilt University, is the Patient Advocacy and Reporting System (PARS). Read more here. In collaborations with 144 U.S. hospitals, healthcare systems and medical groups, we performed a nested case-control study using PARS data of 33,814 physicians. This study, published in The American Journal of Geriatric Psychiatry, examined words contained in unsolicited patient complaints and their alignment with physicians who may have cognitive impairment disorders. The findings in Unsolicited Patient Complaints Identify Physicians with Evidence of Neurocognitive Disorders suggest a methodology for determining which physicians might warrant additional assessments without imposing testing burdens on all older physicians. In this editorial, Every patient should be enabled to stop the line, Drs. Sigall Bell and William Martinez (VUMC) explore how changing the way we think about and learn from patient concerns may lead to increased patient safety and respect, emotional harm prevention, improved patient experience, and enhanced organization learning. True patient engagement requires fully making room for patients at the table; it means changing the speaking up research to focus on patient-centered outcomes, better learning from existing patient feedback, and creating the conditions in which patients feel comfortable bringing their voices into our healthcare system. Creating environments in which patients and families can speak up makes more sense now than ever before, because the underlying principles resonate with other existing broad cultural shifts in medicine, such as transparency, patient engagement, shared decision making, inclusivity and respect. 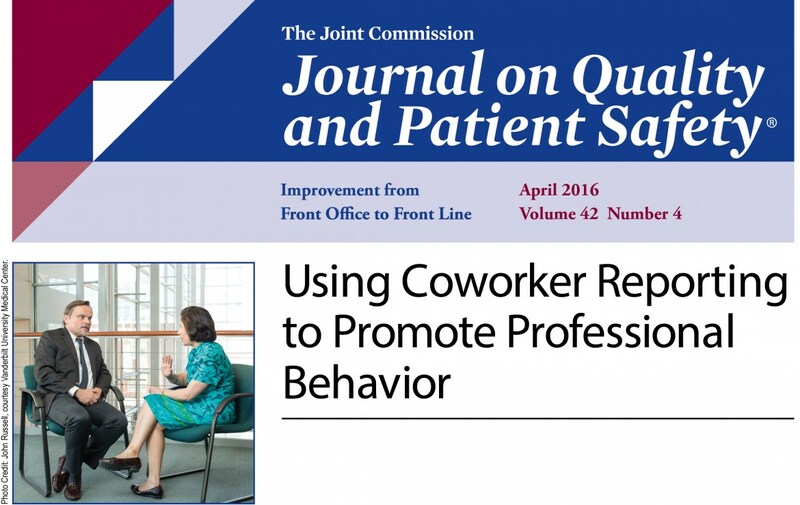 Unprofessional behavior threatens patient and coworker safety. Measuring unprofessional behavior can be challenging. The Vanderbilt University Medical Center (VUMC) Center for Patient and Professional Advocacy’s (CPPA) has created a Co-Worker Observation Reporting System (CORS) that allows organizations to monitor and provide meaningful feedback to the small proportion of healthcare providers whose colleagues report concerns about unsafe or unkind conduct. CORS gives such professionals an opportunity to self-reflect and modify behavior. In CPPA’s recent study of CORS reports, we developed and tested the reliability and validity of a novel taxonomy for coding co-workers' narrative reports of colleagues’ unprofessional behavior. The CORS process enhances organizations’ ability to provide medical professionals actionable, peer-comparative feedback and indicates areas where safer, kinder, more reliable healthcare may be promoted and enhanced. This topic has started important conversations in the healthcare community, including the Agency for Healthcare Research and Quality Highlights. Read more about this follow up study on professionalism in the workplace and coworker observations. Representing a collaboration between Vanderbilt’s CPPA, Ophthalmology and Biostatistics departments, and MPH program, the study found that older ophthalmologists were less likely than younger colleagues to be associated with patient complaints. Our findings reinforce the importance of patients’ observations, which can provide actionable information for individual physicians and leaders committed to providing high quality care. Furthermore, complaints may signal a need for physical, mental and/or skills assessments, especially for older physicians who previously had few or no complaints, but then manifest rapid increases. In October 2017, healthcare leaders invited from across the nation focused on the best practices for addressing the professional who does not respond to guided interventions. We worked through challenging cases and developed tools to support authority figures as they consider their critical role in professional accountability. See some of the amazing graphic recordings from the research roundtable. The Cognitive Institute is now offering courses in the Promoting Professional Accountability Program in partnership with Vanderbilt CPPA as part of their Speak Up for Safety initiative. The full article by Dr. Lynne McKinlay in the Royal Australasian College of Medical Administrators Quarterly, Now is the Time, explores the role of human error in patient safety and how understanding and addressing unprofessional behavior can impact safety at every level. Advances in Patient Safety and Medical Liability has now been published on the AHRQ website. It features the Planning and Implementing of CPPA's Patient Advocacy Reporting System (PARS) in the Sanford Health System. It is an informative look at the ongoing process including the results of 6 years of PARS interventions. In collaboration with PARS® Partner sites from 6 major academic medical health systems across the nation, Vanderbilt CPPA has just published an article in JAMA Surgery. The study, "Use of Unsolicited Patient Observations to Identify Surgeons With Increased Risk for Postoperative Complications", found that patients whose surgeons had a greater share of unsolicited patient complaints in the previous two years had a significantly higher risk (14%) for postoperative complications; potentially representing over $3 billion in health care costs annually. Dr. Lynn Webb will represent the Vanderbilt Center for Patient and Professional Advocacy at the Austalian and New Zealand Prevocational Medical Education Forum in Melbourne in November 2018. As Assistant Dean for Faculty Development and Assistant Professor of Medical Education and Administration at Vanderbilt University Medical Center, he will share CPPA's years of research on Promoting Professionalism and a Culture of Safety and Respect. The sessions will include having a "Cup of Coffee Conversation" which promotes a culture of speaking up when concerns arise. This will give participants the tools necessary to address those concerns in a professional manner and techniques to build that into the culture of an organization. Dr. William Cooper represented CPPA at the "What Patients Say" National Conference on October 11 and 12, 2018 in Chicago. What patients say in their own words is increasingly being used for many purposes for getting results above and beyond simple patient survey ratings. This conference featured research and national best practices about the wide variety of ways that the patients' concerns are being collected and used and how these efforts can be linked in powerful ways. Read more about this conference championed by Rush University Medical Center. 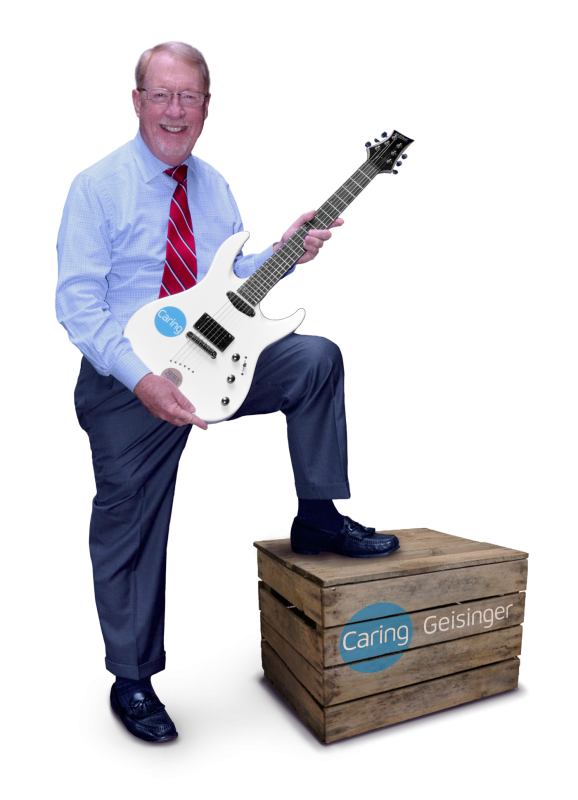 Dr. Gerald Hickson was honored to speak at Geisinger Health System as part of their Rock Star Speaker Series in March 2018. The Geisinger Rock Star Speaker Series seeks to bring people of influence across all industries to speak to Geisinger leadership; hearing from national thought leaders, government leaders, health care leaders, and scientific leaders to discuss topical health care issues and health policy. Other notable speakers include: Mark Miller, PhD, Marilyn Tavenner, Mandy Cohen, MD, Joe Selby, MD, Peter Orszag, PhD, Karen DeSalvo, MD, Rick Pollack and Tom Nickels, Shantanu Agrawal, MD. In May 2018, Dr. Tom Catron and Dr. April Kapu presented Workforce Safety: A Prerequisite for Joy in Work at the Institute for Healthcare Improvement Conference in Boston. They focused on promoting advanced practice professionals' accountability for safe, kind, reliable care. Recognizing the impact unprofessional behavior has on patient safety, clinical outcomes, and teamwork, means health care leaders require tools and reliable processes for identifying and addressing providers who undermine a safety culture. Using case-based, interactive teaching methods, group discussion, and practice exercises, participants learned proven tools and techniques for having "awareness" conversations to help advanced practice nurses and other medical professionals recognize an actionable pattern of slips and lapses in professional behavior so they have an opportunity to self-correct. Dr. Hickson and Dr. Cooper conducted a workshop at the 29th annual Institute for Healthcare Improvement National Forum, revealing how Addressing Professionals Who Fail to Self-Regulate will contribute to improving safety and reliability in healthcare. Promoting Professionalism expands to New Zealand. The Cognitive Institute is now offering courses in the Promoting Professional Accountability Program in partnership with Vanderbilt CPPA as part of their Speak Up for Safety initiative. The full article by Dr. Lynne McKinlay in the Royal Australasian College of Medical Administrators Quarterly,Now is the Time explores the role of human error in patient safety and how understanding and addressing unprofessional behavior can impact safety at every level. The international journal, HealthManagement, featured Dr. Cooper's Pursuing a Culture of Safety in their August issue. The journal has a distribution to 87 countries world-wide. Dr. Cooper points out, "Whereas much is written about professionalism and its noble tenets, far too little attention has been focused on understanding a critical component of professionalism—the commitment to group and self-regulation". The Journal of the American Society of Anesthesiologists, Inc. featured CPPA in their Science, Medicine, and the Anesthesiologist publication in October, 2017: "Use of unsolicited patient observations to identify surgeons with increased risk for postoperative complications."